If you own a restaurant that offers WiFi, it can be frustrating to have “customers” camp out at a table all day using the WiFi and buying little. As an owner, you can get mad. Or you can come up with a way to capitalize on the opportunity. Panera found a way to profit from the opportunity. Panera figured out a way to capitalize on the opportunity. When you log on to Panera’s WiFi network, they make it very easy for the WiFi user to order food right immediately. Even better… Panera staff will bring the food to your table! Check out the screenshot. A customer on a laptop does not want to risk theft by walking to a cash register. Solution: Handle the whole transaction online, and bring the food to the customer. 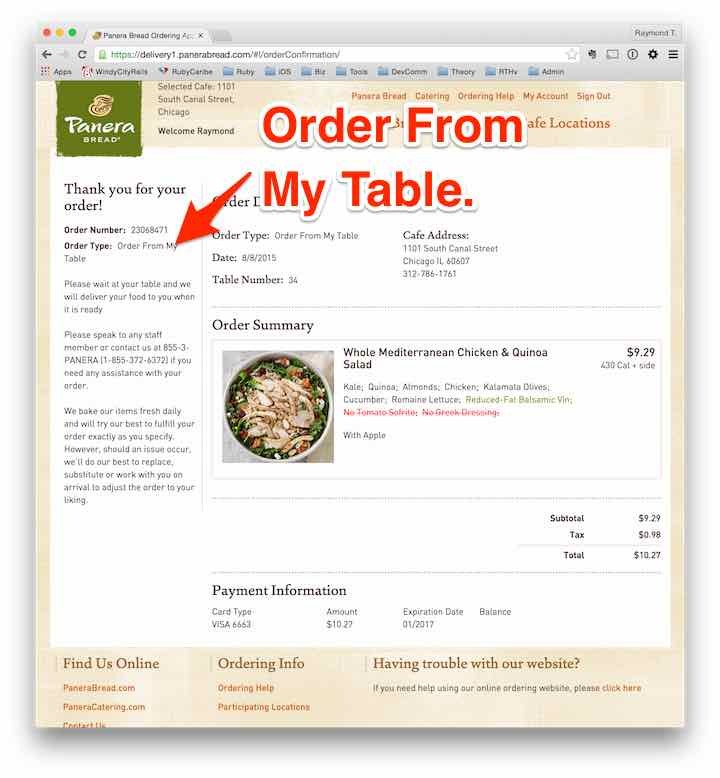 Restaurants need cash-producing tables in order to stay in business.